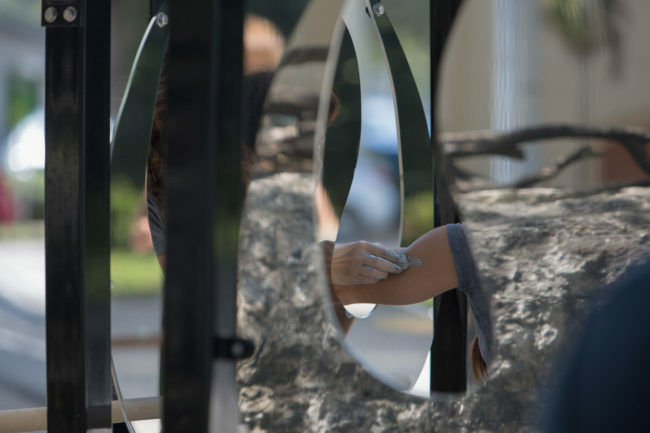 Commissioned by Artplace America, the friends of the Underline, and Miami-Dade Art In Public Places, Naomi Fisher created a participatory sculpture beneath the Brickell Metrorail station. 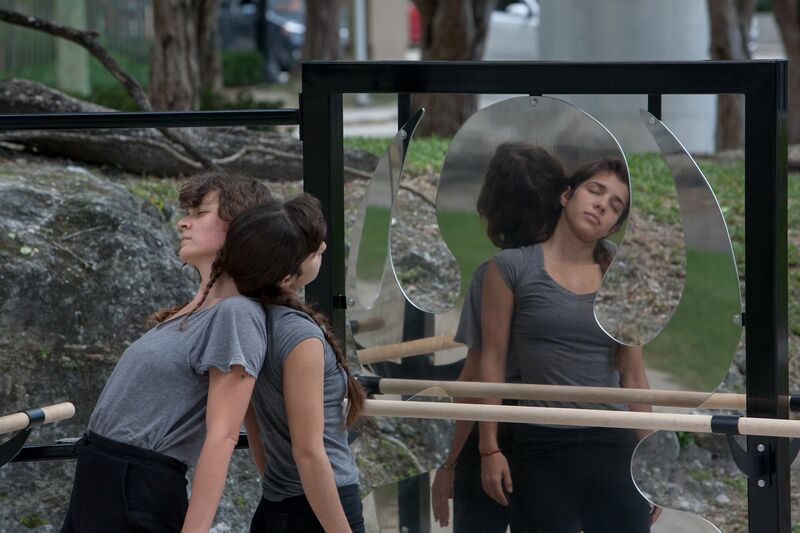 The sculpture explores contemporary dance—a longtime inspiration for Fisher— and how social media modulates our interaction with the environment. 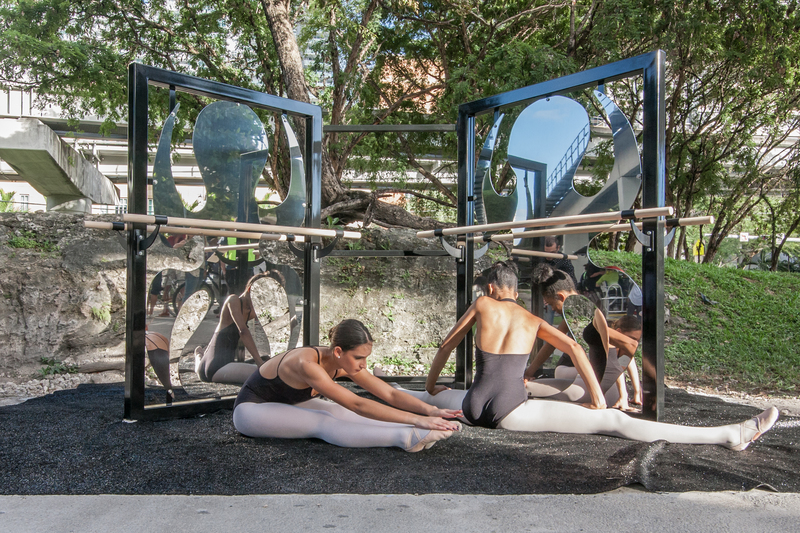 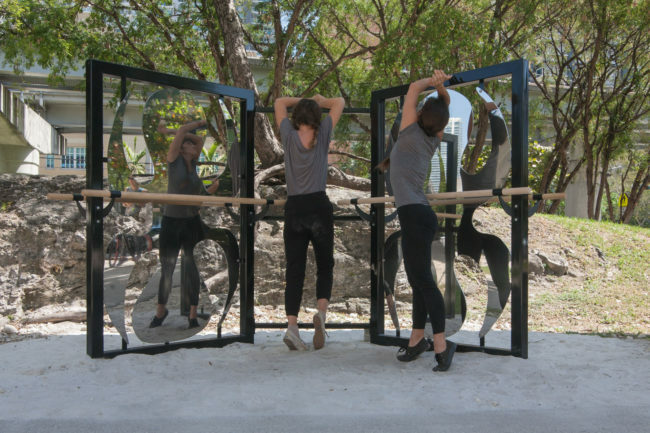 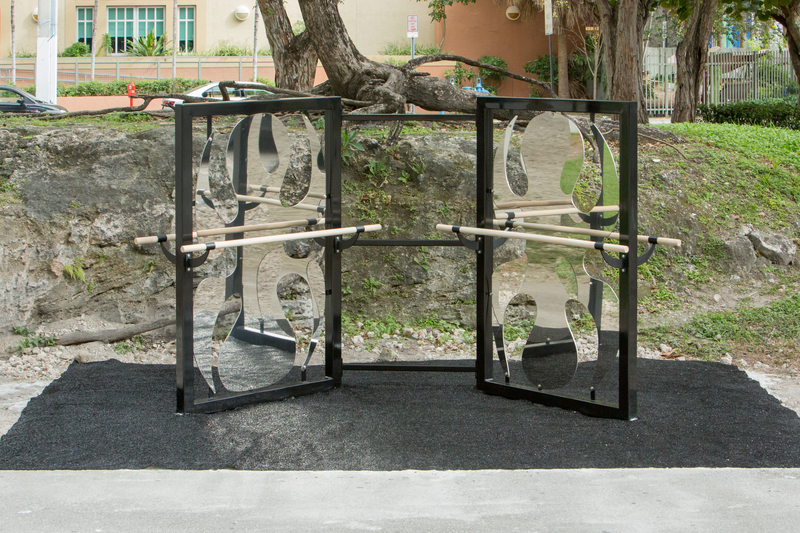 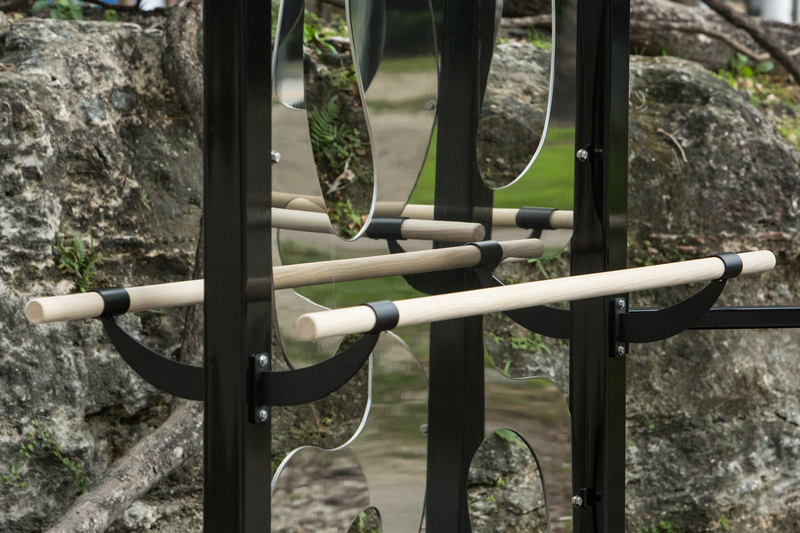 The human-sized sculpture is comprised of four ballet barres set across mirrored, anthropomorphically shaped puzzle pieces, inviting dance into the public realm while also staging performances.